Were you someone who wanted the convenience of being able to give a search command and find what you were looking for? Leave a legacy for the kids? If your answer is yes to any of these questions and you have some old posts that you would like to give a new look, visit or even a new twist then this event is for you!! 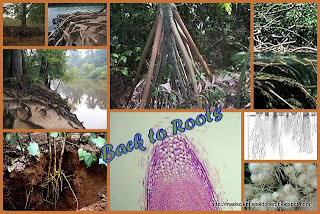 Yes go” Back to the Roots” and make your own recipe and repost it on your blog link it here any day from 16th Oct’11 to 30th Nov’11. 1. Vegetarian please eggs are okay but will be glad if you could mention substitutes. 3. Link you entries to this announcement. 4. Use of the logo is mandatory. Nice event. have updated by events page dear. Happy hosting. Nice event .. Happy hosting. very interesting event dear, shall try participating..
very interesting event..will participate for sure..thanks for your comment and visit to my space..
A very nice thought in the form of event Archana!! Happy Hosting, will try to make it for this one.. Thanks! Will try. Hope you had a wonderful Diwali too! I have just sent in my entry. Happy hosting dear. Hope to have something for this. Here is our entry! Check it out at http://romeocucina.blogspot.com/2011/11/back-to-roots-golden-borscht.html.